I love these light, fun summer skirts. It gets so hot out these last two months of summer that its nice to have some fun skirts to wear to help keep cool. Click on the pictures below and they will take you to the links. I found this maxi skirt tutorial over at Tip Junkie. I love the ruffles and the pink color! This pattern I found over at WKdesigner. This cute skirt I found over at I Candy Handmade. So cute!! 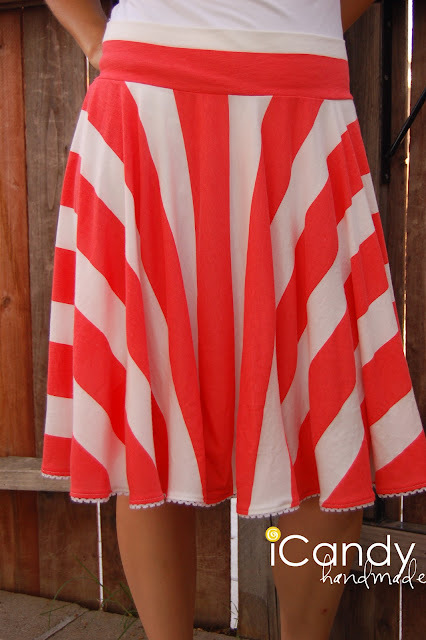 This adorable ruffle skirt I found over at I Candy Handmade also. I love the boots with it! !